Of course, not all art fairs are created equal. There are the giants—the two Basels, in Switzerland and Miami (the latter of them for art and fun), and Maastricht, with its Old Masters, for the ultra-serious buyers. But even these are being questioned. And yet, art fairs don’t hurt anyone. The organizers make a bundle, galleries and artists sell or at least brand themselves, and collectors get to look at interesting things and take some of them home. And what’s so bad about the parties? They’re part of every trade show. If you sell refrigerators in Winnetka and go to an appliance trade show in Chicago, where you hang with supermodels, how bad can that be? 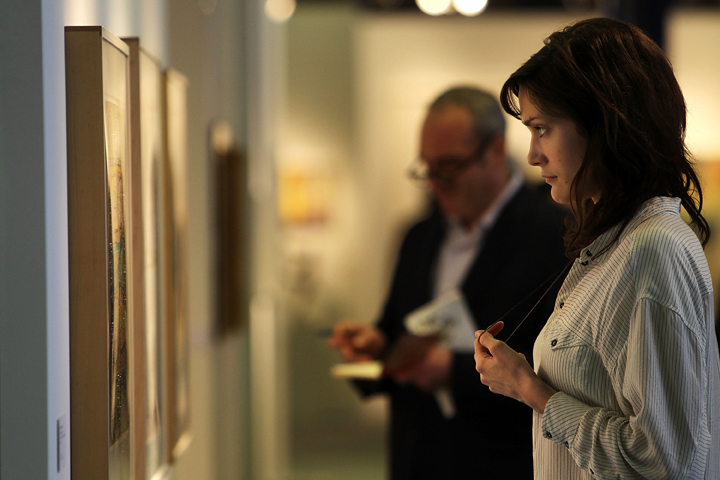 Aren’t these art fairs pretty much just trade shows for art insiders or those who want to be? Publicity flacks tell us art fairs are sexier, but frankly I’ve never been to an appliance convention. Maybe they throw some pretty good parties. Anyway, I can’t criticize. I’ll go to a party for the opening of a new handbag. The bottom line is people go to art fairs less to buy art than to be part of a new social order. In the late 19th century, when Mrs. Astor gave balls for “the 400,” the only way to make it in society was to be born into it. Later, even Mrs. Astor had to accept the arriviste Vanderbilts, because they made too much money to be excluded. After that, entrée eased and you didn’t even have to be loaded to get in—it became meritocratic, you could get in by writing the great American novel or curing a disease. By the ’60s, society was on the move, jet-set style: Gstaad in February, London for “the season” in June, Saratoga for the races in July and so forth. These days, it’s unrelentingly global. We may be entering the era of online art fairs, like last month’s VIP, where we can cruise the galleries in our pj’s with a cup of coffee in hand, but these virtual ventures don’t really replace experiencing the art in person. If Frieze’s coming to New York provides another opportunity to do that, I’m thrilled. For now, let’s all muscle through Armory Week. Pace yourself, wear comfortable shoes, keep your eyes open, ask a lot of questions, and bring some PowerBars and maybe a hired gun (like an art adviser). Whatever you do, enjoy the parties. This entry was published in art, magazine articles by barbara by Barbara. Bookmark the permalink.